Convening for Action in British Columbia: Do You Wonder About the Outcomes Flowing from the Parksville 2019 Symposium? In April, the City of Parksville was the setting for the second in the annual Vancouver Island symposia series on water stewardship in a changing climate. The 2-day symposium was preceded by a day in the field. The options were a tour of a recently completed water treatment plant or a workshop with stream restoration innovator Dave Derrick. The article below provides a re-cap and a synopsis of the modules comprising the symposium program, and features three “stories behind the stories”. Dave Derrick conducted the workshop in the morning and a creek walkabout in the afternoon (see photo above. Formerly the in-house trouble-shooter for the US Army Corps of Engineers, he has provided expert guidance for stream restoration in every state in the continental United States over the past four decades. The Parksville 2019 Symposium confirmed the possible “wins” for both the environment and local government when stewardship groups and local government collaborate effectively on community water initiatives. Five inter-related topics caught the attention of delegates. First, the stewardship sector is now in for the “long haul” and is no longer regarded as peripheral in making a difference. When 40% of the attendance is from the stewardship sector, it speaks volumes to their role as “agents of change”. Secondly, Citizen Science has brought together the passion of community volunteers with practical “hands on” field training programs. Restorative land development holds the long-term key to sustainable stream restoration. A catalyst for action is an informed, educated and committed stewardship sector. Align stewardship and local government efforts to restore balance in the urban water cycle. Learn from the champions who are leading changes in practices – they provide beacons of hope. Look through the ‘worth lens’ to value natural assets and make fundamentally different decisions. Close to 200 delegates attended this 3-day event. They came from far and wide – from Sooke at the southern tip of Vancouver Island to the small town of Port McNeil on the northeast coast; from the Metro Vancouver region on the mainland east to the province of Alberta; and from Washington State, Virginia and Mississippi in the United States. Each day of the Parksville 2019 Symposium comprised four modules. On Day One, the spotlight was on understanding the challenges in “getting it right” in order to reconnect hydrology and ecology. On Day Two, the focus shifted to celebrating success stories that increase the restorative footprint. All modules were not the same. Rather, there was a mix of approaches, including a “mini-workshop within the symposium” on Day One, and a facilitated engagement session on Day Two. “The core message is the power of thoughtful and constructive collaboration. It is one thing getting together to share ideas. It is quite another when there is a genuine desire to truly listen to each other, and through commitment, reach for the common good and, as a result, change how we do business together. This was the strength of the Symposium – the inter-generational and inter-discipline exchange that took place,” observed Eric Bonham, a founding member of the Partnership for Water Sustainability. In 1988, Bill Derry co-founded the APWA Stormwater Managers Committee and was its co-chair for 20 years. This committee was the primary source of technical advice and review for writing Washington State stormwater regulations and the State’s stormwater technical manual. The committee framed eight questions that formed the basis for eight Master’s projects at the University of Washington. The PhD thesis by Chris May synthesized this body of work. Chris May is a Division Director in the Kitsap County local government. Kitsap is a “living laboratory” for putting science-based understanding into practice. Over time, MVIHES has morphed from “Stewards of the Englishman River Recovery Plan” to “Stewards of the Watershed”. As a result, operation of the Englishman River Water Service is guided by this statement:“An environmentally sensitive use of water to improve fish habitat and domestic water supply.”MVIHES initiated and secured funding for a community-based and innovative approach to assessing groundwater and surface water interaction in the watershed. It is One Water – Always Moving. “Going forward we will need to: think and act more strategically; look for synergies between programs, systems, policies, disciplines and management objectives; account for uncertainty through acknowledging what we don’t know, and variability in what we do know; develop effective partnerships that get the vision right and produce sound strategies,” stated Nick Leone. The bridge between the two symposium days was a free public lecture by Storm Cunningham, author and global thought leader. Everywhere one turns these days, some form of the words “renewal”, “restoration” or “regeneration” appear. Storm Cunningham was the catalyst of that global “re” trend when he published The Restoration Economy in 2002. This was followed by reWealth in 2008. His third book, RECONOMICS: The Path to Resilient Prosperity, will be published later in 2019. The first decade of the Plan (2009-2018) built a strong foundation of public outreach and science. The focus moving into the next operational period is using awareness and data to inform water policy and planning. The desired outcome: get it right and make better land use decisions. The focus of the session was on how lessons learned in other jurisdictions might inform the RDN’s DWWP Action Plan update. Emphasis was on leveraging ‘citizen science’ to achieve complementary objectives, namely: educate the local community (public); and inform alignment of government actions at all scales so that restorative land development ultimately results in sustainable stream restoration. “Restoration comprises the largest new economic growth cycle since the beginning of the industrial revolution. Development has arrived at the ends of the Earth. Progress has nowhere to turn, except to revisit and restore what we’ve already wrought,” stated Storm Cunningham. Shelly Creek served as the outdoor classroom for a walkabout led by Dave Derrick. Shelly is the last fish-bearing creek in the City of Parksville, and the most important tributary of the endangered Englishman River system. Shelly is a 1st order stream, supports several fish species, is being impacted by land development, and as a result, has a rapidly changing stream channel. “The Symposium has provided a huge boost to MVIHES, in our efforts to draw attention to our ‘watershed health depends on you’ program, whether it is Shelly Creek water balance restoration or future monitoring of Englishman River watershed health,” added Peter Law, MVIHES President, and formerly a senior biologist in the Ministry of Environment. The Ecological Accounting Process (EAP) provides metrics that enable communities to appreciate the worth of natural assets. These resources provide numerous public benefits in the form of ecological services. EAP also calculates the dollar value of the land occupied by the natural commons, thus providing a basis for budgeting maintenance and enhancement expenditures. Also, EAP findings can contribute to strategy and plans for asset management. As illustrated above, the natural commons has a corollary – namely, the constructed commons. In all communities, the constructed commons utilizes ecological systems for aesthetic purposes and infrastructure needs; and the constructed commons benefits from the ambience of ecological services. Yet the worth of ecological services remain obscure in land use practices. “The stewardship sector and local government departments share equally, or at least ought to have similar commitment to, the important tasks of understanding, maintaining and managing the natural commons. Really, we are saying that the social (which includes politics), technical, and financial perspectives and practices must share a common strategy when it comes to land and water stewardship and the natural commons,” stated Tim Pringle, Chair of the EAP initiative. “There is a great need for the various intervenors – encompassing local government departments, politicians, First Nations, and stewardship sector – to integrate their strategies for the maintenance(prevent or avoid degradation) and management (improve the condition of the ecological asset) of the works they undertake. Nature cannot sliced and diced to suit land development. The Symposium also showcased the Regional District of Nanaimo’s Drinking Water and Watershed Protection (DWWP) program, the first of its kind in BC. In 2019, the RDN is updating its Action to incorporate learnings from the implementation thus far, and integrate elements that will be the focus of an actionable vision for the next decade and more. “An important aspect of the DWWP program is that it is regional in nature, with a focus on the natural boundaries of watersheds and aquifers to frame program activities, rather than political boundaries. 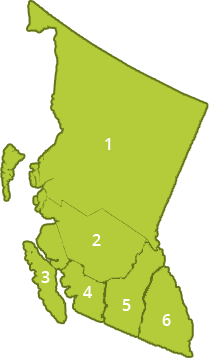 All four member municipalities and all seven Electoral Areas are partners in this region-wide function, recognizing the water does not conform to jurisdictional lines. Protecting and planning for our water requires a high level of collaboration,” stated Julie Pisani, program coordinator. At Parksville 2019, Julie Pisani led a community engagement session for input towards an actionable vision for achieving water sustainability in the second decade of the DWWP program. Twenty students with the Master of Community Planning Program at Vancouver Island University (VIU) served as table facilitators for the engagement session. “This was a great example of the interactive nature of the event, where participants could share ideas and learn from each other, as well as the speakers. The involvement of the students extended thecollaboration across the generations, providing an opportunity for future leaders and planners to be involved in the discussions,” observed Julie Pisani. To make better decisions, decision-makers must first understand how rainfall ultimately reaches a stream. Only then will communities be able to reconnect hydrology and ecology. Look at a creekshed through both a whole-system, water balance lens and an asset management lens. The three pathways by which water reaches a stream are ‘infrastructure assets’. These pathways provide ‘water balance services’.